First of all, there is a need to know about the GPS (Global Positioning System) through which the vehicle tracking is made much simpler and plays an important role in stolen vehicle recovery. GPS is nothing but a system where you can know the position and time of an object using the Global navigation satellite system. It is a group of satellites which receive signals from the GPS transmitters and sends data to the receivers. The GPS thus enables you to know the exact location, speed, events like opening/closing of doors, fuel levels and much more data regarding your vehicle when your vehicle has a GPS unit. There are different types of vehicle tracking systems. Passive tracking involves the devices which store data and needs to be removed and fed on to a computer system for downloading the data and analyzing. Whereas active tracking involves devices which receive similar data but transfer them on a real-time basis through cellular or satellite modes. Few transmitters can work both ways; when there is cellular network available, they act as active devices and when it’s not available they act as a passive device. They can also be categorized as analog and digital devices based on the type of signal used to communicate. The components in a vehicle tracking system mainly involve a GPS tracking device (transmitter) which is fitted inside the vehicle where it can’t be easily detected by the vehicle thief and hence can’t be deactivated easily. The GPS transmitter sends signals continuously to the monitoring station. Next is the GPS server which takes care of the data/signal reception, stores it securely and provides the data when asked for. Finally, the GPS interface or the control system is the one which triggers the alarm that the vehicle has been stolen and immediately facilitates the tracking process. This GPS interface can be operated through mobile phone technologies like an SMS or an alert call and so on. When you notice that your vehicle has been stolen, immediately SMS the required code to the required number. This results in switching on the alarm and thereby the security agencies can access details like the location, speed etc through the GPS server and can help in stolen vehicle recovery. Few advanced vehicle tracking systems off late have been capable enough of operating vehicle controls like door lock, engine on/off, fuel switch, steering lock and even brake and clutch. This can render the thief with very few options. Sometimes they are also enabled to send automatic signals to the predestined cellular numbers when found operated by unauthorized persons. Vehicle tracking systems can be operated through cellular networks or satellite group networks. Few global vehicle manufacturers have incorporated their own built-in devices in their vehicles and give their customers the choice of subscription to the service. They have also incorporated other features like automatic crash response systems, in-built navigation helper etc by using the same technology. So, it’s clear that vehicle tracking systems are something essential for your security! With thieves getting advanced day by day, you cannot compromise it either. Now, we shall have a look on two of the best Vehicle Tracking and Anti-Theft Systems you can purchase today. 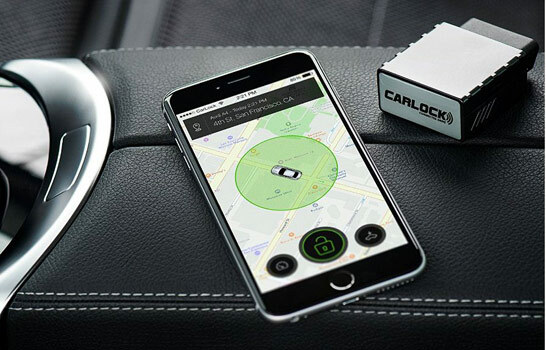 CarLock Anti-Theft Device is one of the finest options for real-time car tracking and monitoring. 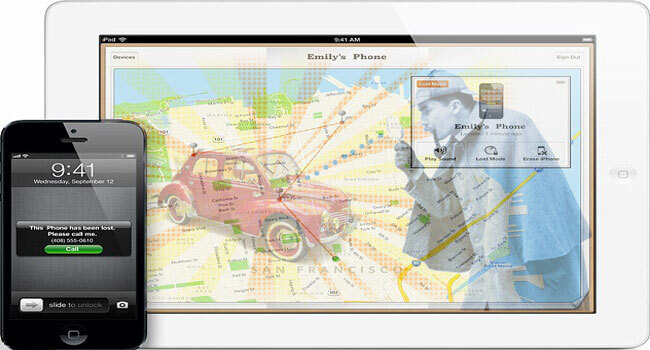 It’s not just about tracking the location, but about the anti-theft features too. If you need top-notch protection for your car, you can count on CarLock Anti-Theft Device, which is pretty affordable as well. This small device can conveniently be placed inside your car and can provide on-time information about the activities happening around the vehicle. Suppose a thief is trying to move your car or start the engine — you will receive alerts on your smartphone. You will be notified if someone disconnects the device. When compared to your common alarm systems, CarLock Anti-Theft Device is better in many ways. You can easily connect the device to the On-Board Diagnostic Port and it starts working right away. Apart from real-time notification and tracking, it has some other features too. CarLock Vehicle Tracking Device can be used as a Second-Driver Insight tool. That is, you can know about drag racing, inattentive driving, rash driving etc, through the smartphone app. You also get notifications about low battery and unusual battery drains. Talking of additional features, you can set the device to contact certain numbers in case of crashes or something. Altogether, considering the price, CarLock Anti-Theft Device is more than a common vehicle tracking device. You should be able to protect your vehicle from all kinds of thieves using this real-time tracking device. And, according to customers’ opinion, you don’t have to doubt its reliability and accuracy. 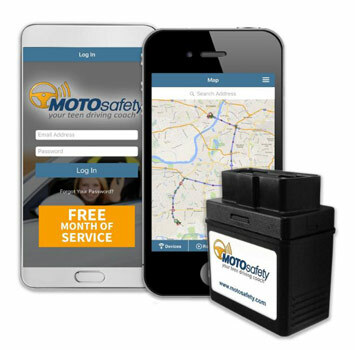 MotoSafety OBD Teen Driving Coach & Vehicle Monitoring System is yet another effective choice made by vehicle owners. According to previous customers, this is one of the most effective methods to track the location, speed, traffic, direction etc of your vehicle. When compared to the other products and services, it offers additional options for GPS Tracking. For instance, you can set geo-fences to receive on-time alerts. On the other hand, there are options for setting key locations as well. As you can guess from the name, the device can be used as a Driving Coach too. The next time you give a vehicle to your children, you can stay confident. MotoSafety OBD Teen Driving Coach & Vehicle Monitoring System will analyze the different driving behavior and location while it’s in Driving Mode. You can get a Report Card and know if there have been any Harsh Breaking or Rapid Starts. If these are not enough, you get additional features such as Driving Coach Program, Senior Driving Coach, Route Replay and a lot more. Thanks to the OBD Port connection, you can install this tracking device in almost any car you bought after 1996. On top of everything, MotoSafety provides a one-month free service. Considering all these, MotoSafety OBD Teen Driving Coach & Vehicle Monitoring System is a cool system for parents and normal users. It’s a good tracking device as well as driver insight program. So, it’s worth the money you spend, especially considering nationwide coverage and service quality. 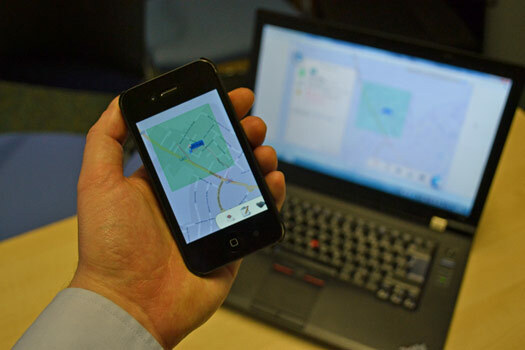 Conclusion – How to Trace a Stolen Car using Mobile Phone Technologies? The vehicle security is greatly increased with these tracking devices through mobile phone technologies and at the same time note that the theft insurance value of your vehicle is greatly reduced. Nevertheless, it is always worth having a vehicle tracking system to provide an unparalleled security to your vehicle. Until now we were searching mobiles through thew track system. This is pretty strange information. Can we even find trucks? I was having a look at the TV commercial of a locker with active GPS. Which sends instant message to number of owner if anyone tries to open it without proper keys. This mobile phone technology to prevent car stealing is also something similar to it. Hi , Its sad I am reading this post today. I have lost my car 2 months ago. That was my love. This is a nice strategy to trace a stolen car. Would that I could read this earlier. Well, thanks for sharing this post. That would be helpful for me in near future. It is great to learn this information of how to trace stolen car. We can never know when a carnapper can strike and take your car. It is not to lose a car because it cost a lot of money. Thanks for sharing this valuable information. Very good write up on tracking your vehicle, have you looked into the Viper Smartstart this can be controlled by your smartphone and offer remote start and you can arm and disarm your alarm. I was totally shocked coz I do know the option to trace a mobile number using certain tips. This is really awesome to track a vehicle using a mobile technology. Really handy for people like me. Wow! This is really innovative. Tracking stolen car using mobile phones can be so useful in real world. GPS system is awesome but in some countries where GPS is not so much strong there could be a problem search the exact location. Anyway, the method is solid and people tend to use tracker system which is also used by GPS but does not requires a mobile phone. It’s really a good way to find your stolen car back. I think the idea to be using GPS is can be easily spread. But for some developing countries, that’s a problem. Hello, This is so simple and easy way to protect your car. Most importantly it is the most inexpensive way make your car safe. Everyone should apply this technique if they can not afford an insurance of their car. Tracking system is now possible nowadays. That’s total innovation and modernization! GPS matters! Wow! This is really good conversation.Thanks for providing relatively good car technology tips.This is one of the highly attractive, informatics, well-written and highly crisp blog that has been explained in fabulous manner. You have just create an article that is assist-able for all car onwers. but I don’t have car right now but I have cellphone. So I got info to track stolen cars and in future i will become already aware of it. But I wants to know how to GPS in Symbian phone? I have net access in my mobile but still it is not working. Reply soon.. This is really great article. I really love the content of this and it makes more sense. It is good that now we have these gadgets to trace our stolen vehicles. Technology is really unstoppable nowadays. Thanks for posting this. I am hoping to read more from you. Cheers! hey this is awesome technology and may help full in reduce the % of stolen cars but the smart thief can break this technology may be by hacking but reduce the car stolen percentage. Great info, to know of course this requires that you have a car with a GPS device installed although this may be standard issue soon. No result found on Ghostrack bro. Very good information on how GPS tracking works. There are many GPS tracking topics on the internet and none of them are as detailed as yours. In the Europe we have tracking devices that are Thatcham approved which is GPS tracking at a more advanced level. Look forward to reading more posts. Tracing a stolen car has now became easier by this useful guide and thanks for it. Evolution of GPS tracking systems and vehicle tracking systems had made the tracking of the vehicles against theft easier. Thanks for the detailed information. This post is very informative. Rajesh, may I ask for a good brand of GPS wherein I can use this feature? Thanks. This is a good article to know about “How to Trace a Stolen Car using Mobile Phone Technologies?” Awesome technology and I hope it is too easy to find out a stolen car. Wow GPS technology, good information. Yes, absolutely useful article. I use GPS tracking devices (http://www.gotek7.com/) and I found it very useful and it created value in my life, they have various products and no need pay every month and no need of sim-card just plug and play. My car has been stolen. I did not have any kind of tracking device on it. I have used the Bluetooth multiple times. Is there anyway I can some how track my car with my device . My sister car was recently stolen and it was the same scenario as yours. She didn’t have a tracking device on it but she used Bluetooth multiple times. Do you happen to know if there is a way to track down a car with her device? Any information would help and be greatly appreciated. That awesome information about the GPS device installed in your car can retrieve your car if its stolen. I think all our cars should Have this features. Tracing a stolen car might not be easy as it seems, but thanks to recent technology where GPS comes to play. In BCA am doing this project with a future scope. It is a good idea to trace the vehicle where it is stolen as well as it is used to purchase 2nd hand vehicle. In our project, we create a separate app for the police station where the police are admin for that on the other side the user having a smartphone with a suitable app which is done by our team. It’s a good experience. Hey Edward thanks for sharing such vital information. Now a days car thefts have increased and technology like this can help locate the car quickly and easily. I worked in security for a number of years. In a number of cities there are chop shops. Your car could be stolen and in an hour and cut up for parts. Another problem is the battery. Pull a cable on the battery and many security devices are mute. Now it is hard to stop a pro thief but many thefts are by amateurs. When parking your car, if you can, put it out of sight. Put it in your garage! When parked in a lot (like a mall), put a wheel lock on it after you turn the wheel far to the right or left. Nothing is for sure but this will help discourage most car thefts. Also, keep doors locked at ALL times. Leave nothing in you car (not even an empty bag) that can tempt a thief. Sometimes, preventive medicine is the best way to go. My car was stolen few months back, I contacted the local authorities and nothing could be done until my uncle introduced me to Travis via Mtravis039@gmail.com who helped me in tracking and hacking my car. I was able to recover my car withing 3 day. I need help don’t understand how to track my car from my phone. I am trying to find a way to find my stolen SUV. Unfortunately, I did not install any tracking device. CarLock Anti-Theft Device is not good! It connects to On-Board Diagnostic Port and is too easy to detect by a thief. All is needed is to unplug the device and drive away. By-by the car!